The obvious is that I am not a chef, but, is that really important here? Let’s pretend I made it under the radar by giving Wolfgang Puck a piggy back ride to his car. I do like to cook, but I make green bean casserole using the recipe from the back of French’s French Fried Onions can. I make complicated things sometimes, but…I couldn’t whip up a bouillabaise from memory like Kristin Kish did on Last Chance Kitchen a couple of weeks ago. I’d say I am sometimes more like Josie, where I don’t manage my time well and sometimes drop salmon on the floor. But, there are other reasons. 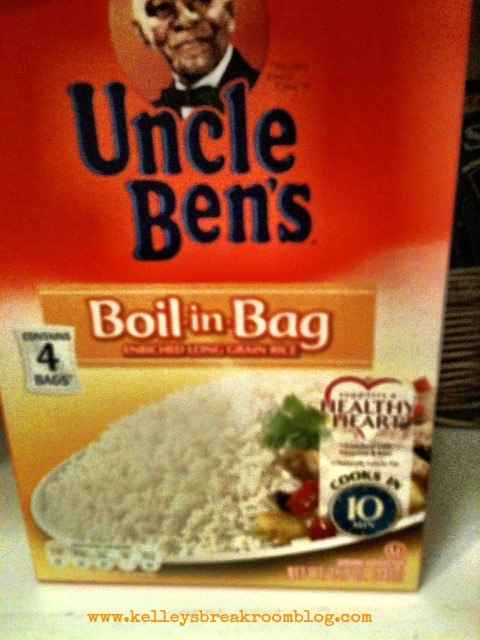 #1 I use Boil-In-Bag Uncle Ben’s rice. I’m not sure if Top Chef is synonymous with Top Healthy Chef. They may not always use brown rice, but they probably do much more than I. I like brown rice from Pei Wei but brown rice I make at home doesn’t taste as good. I KNOW they don’t boil it in a bag. Sometimes I need that rice right this very second! Twenty minutes is like an eternity! 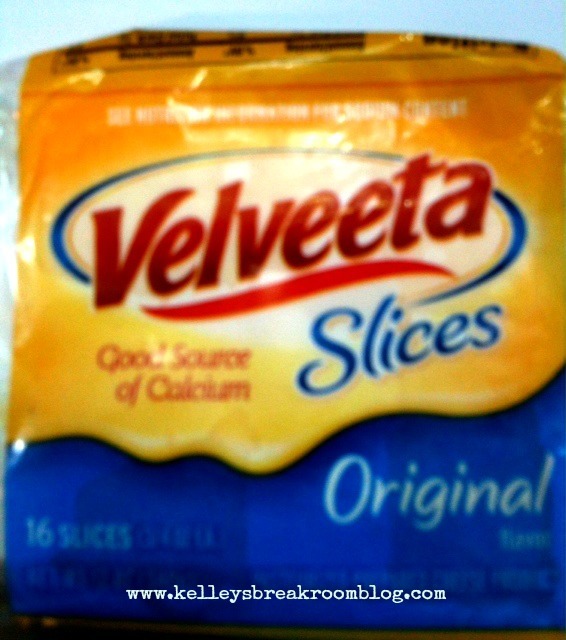 If a Top Chef contestant pulled out Velveeta to use on any of their dishes, they’d probably get the sword to the neck immediately. There would be no chances for them to say goodbye to their families or anything. No Last Chance Kitchens. No more chances to freshly grate some ginger or shave some parmesan over a salad. No more chances for anything. That’d be the end. 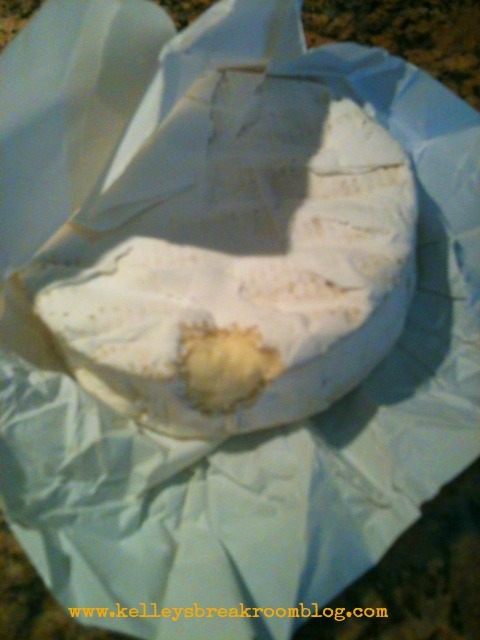 #3 I don’t know how to eat fancy cheese. Or to pronounce it. Also, spell it. #4 I made this thing. And I actually use it. 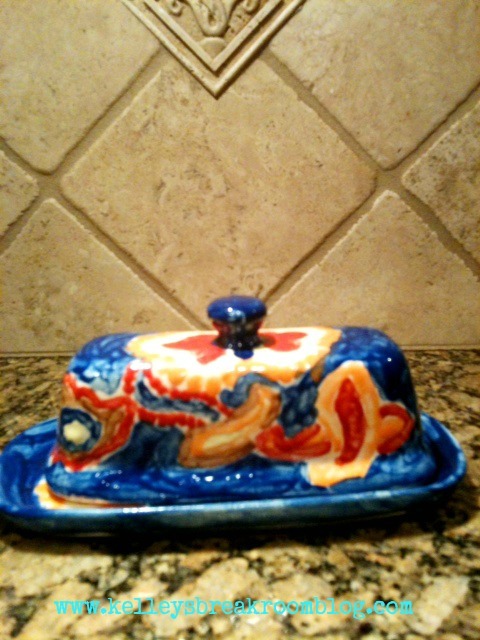 About 12 years ago, I made this heinous butter dish at a paint-your-own-pottery place, which was absolutely unfortunate. The thing is just as ugly as can be. I was following a pattern and those orange and red things are supposed to look like paisley. When the pottery was fired in the kiln, the colors all ran together. That is what I am blaming it on anyway. The dadblasted kiln. 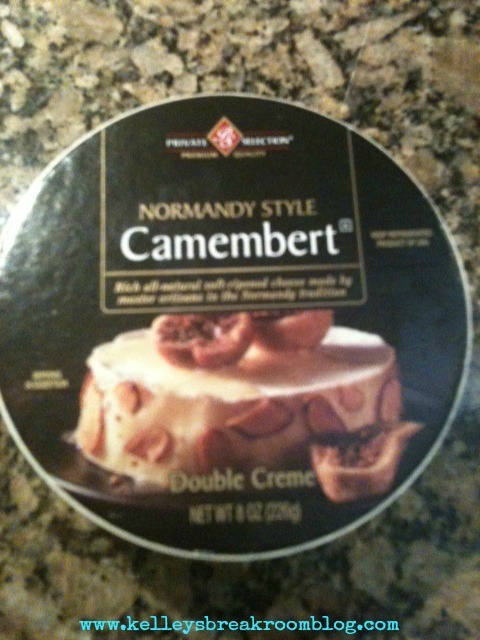 I should shatter this in a million pieces, but I like to put sticks of butter in there sometimes. 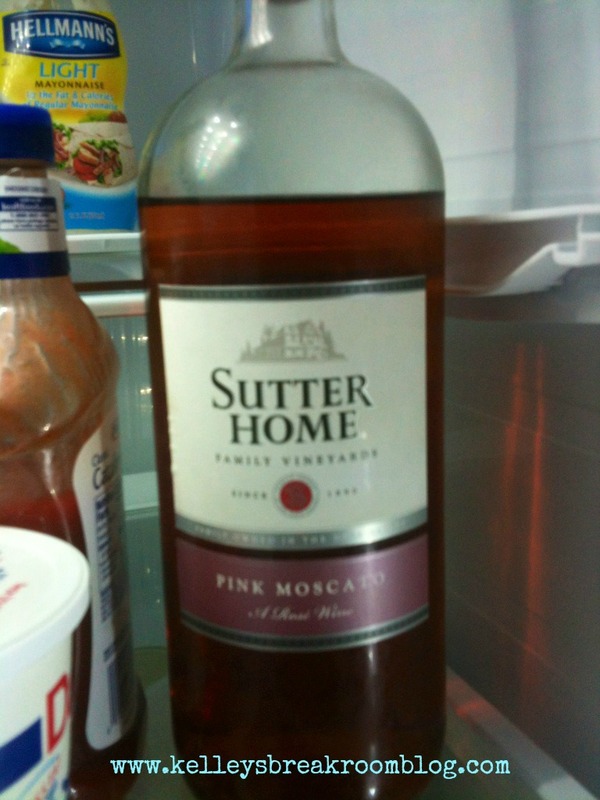 Most often, I just grab the stick of butter right out of the package and then shove it back in the refrigerator door. Every now and then, though, I bust this thing out. Ruins everyone’s day from that point onward. #5 I can’t even bake these right. What are these things called? Separate-and-bake? 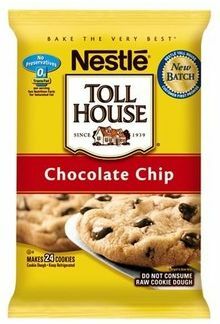 Instant cookies? Pull apart-and-bake? Cut-and-bake isn’t right, because there is no cutting going on. 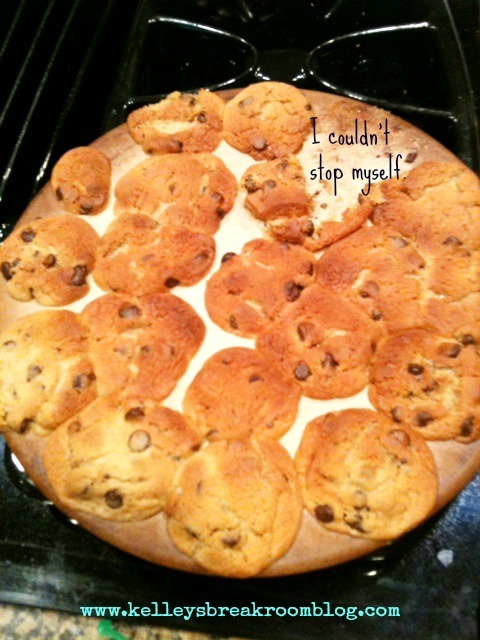 Just a lot of tearing and cookie dough eating and tearing and cookie dough eating and then the baking. I know the Top Chef people would be all upset over that one. My own sister wants to disown me over this one. But, I use them. And I don’t use them well. You see? I just shove those things all on the same cookie stone thing. (Are you at least impressed that I use a stone??) I mean, really, who has TEN MINUTES to wait until the first batch of cookies is ready? TEN MINUTES! That is like forever! So, I shove them on there. They would’ve been okay if my hearing loss wouldn’t have interfered and made me miss the oven beeping like a reversing automated wheelchair at Costco. Be sure to watch Top Chef tonight and come back to talk about the show with me here tomorrow. 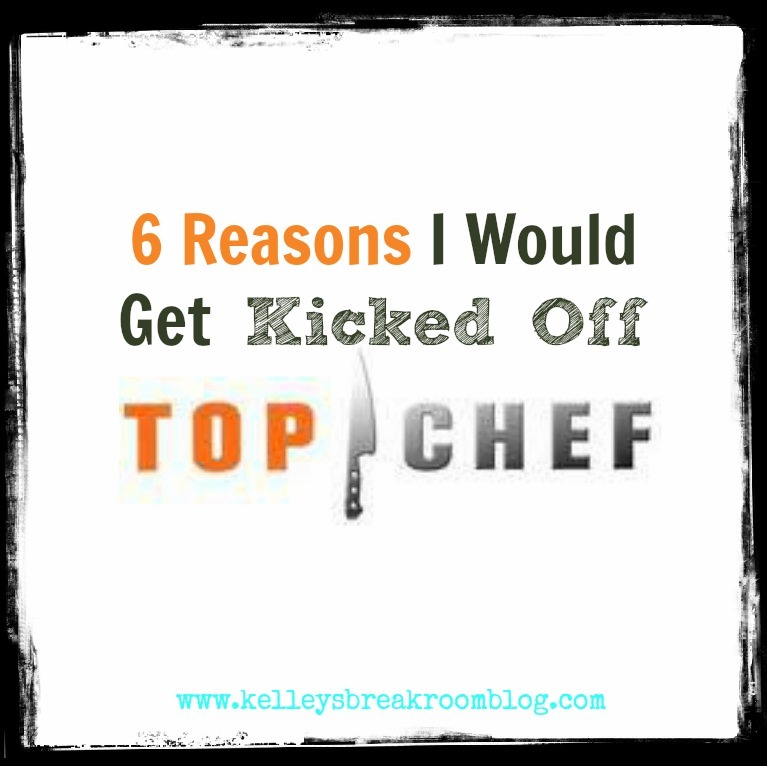 Also, you won’t want to miss my Top Chef contest tomorrow!! As some of you may know, I am a Bravo-sponsored blogger. My opinions are my own. I am currently trying to be their #1 influencer, so if you like this post and feel the urge to pin, tweet, share on Facebook, Google +, etc., I would be so very grateful! !